The Boston Red Sox and Cuban infielder Yoan Moncada have reached agreement on contract believed to be worth $30 million. The Boston Red Sox and Cuban infielder Yoan Moncada have reached agreement on a contract believed to worth around $30 million, reports MLB.com’s Jesse Sanchez. Moncada worked out for at least eight MLB teams, including the San Diego Padres, Los Angeles Dodgers and Detroit Tigers. The New York Yankees held three workouts with him. Moncada reportedly faced live pitching from minor leaguers during the two sessions held last week. Moncada is subject to MLB's international signing guidelines because he is not 23 and hasn't played in a Cuban professional league for at least five seasons. In accordance with those guidelines, each team is allotted $700,000 plus additional bonus pool depending on team's record the previous year. Fernández made three unsuccessful attempts at defecting before he successfully defected in 2008. He enrolled at Braulio Alonso High School in Tampa, Fla., and was selected by the Marlins in the first round of the 2011 MLB Draft. Fernández made his MLB debut with the Marlins in 2013 and was named to the All-Star Game. After the season, he won the NL Rookie of the Year Award, and finished third in Cy Young Award balloting. After a stellar start to the 2014 season, with 70 strikeouts in 51.2 innings, Fernández suffered a torn UCL in May and underwent Tommy John surgery. Abreu said he decided to leave his birthplace during the World Baseball Classic in 2013, and he made it out of the country with his brother-in-law on Abreu's first attempt to defect. Believing he would drown while defecting, Abreu eventually reached Haiti before making his way to the Dominican Republic. The White Sox and Abreu agreed on a six-year, $68 million contract during the offseason last year. At the time, the deal was a record for an international player. 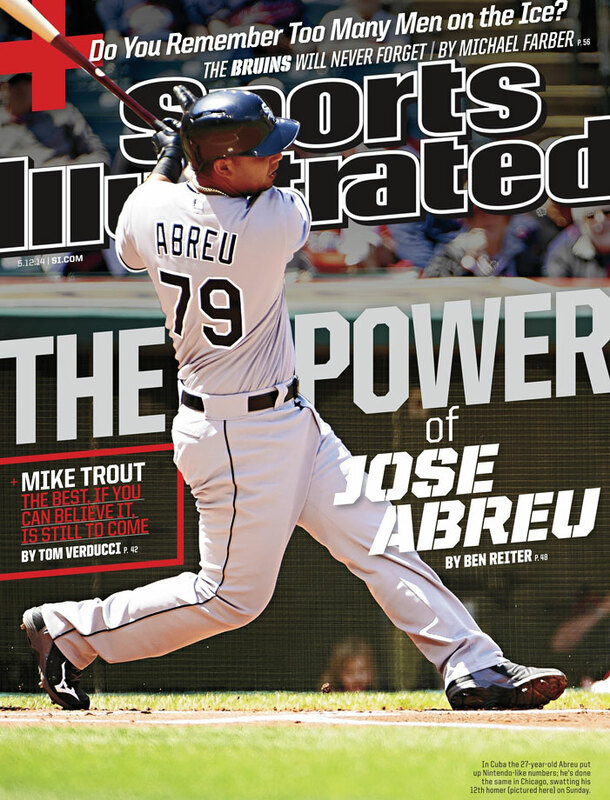 Abreu hit .317, with a .383 on-base percentage and a .581 slugging percentage in 2014 and was named AL Rookie of the Year. In 145 games, the All-Star first baseman had 107 RBIs and 36 home runs. Puig tried to defect to Mexico five times, in order to become a legal resident so he could become eligible to sign a contract in Major League Baseball. Puig's escape from the island involved navigating the waters of the Caribbean as well as negotiations with human smugglers in Mexico. He finally succeeded in 2012, defecting from Cuba and later signing a seven-year, $42 million contract with the Dodgers. 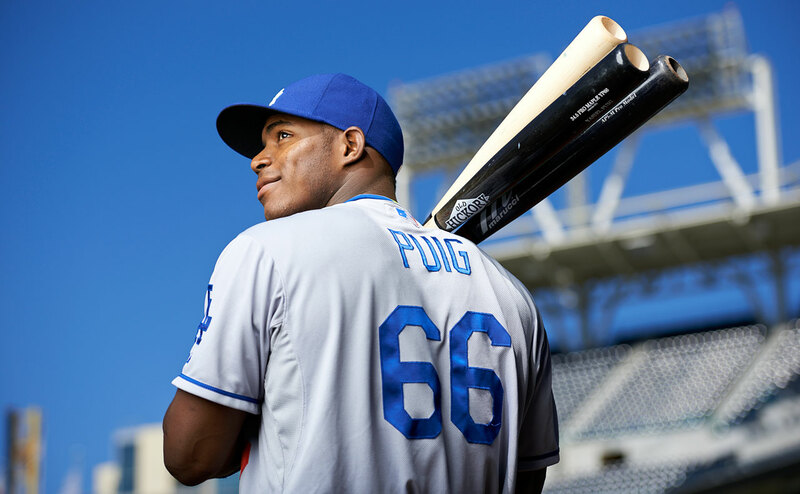 After a stellar rookie season in 2013, Puig was named an All-Star in 2014. Céspedes defected from Cuba in the summer of 2011, landing in the Dominican Republic with ten of his family members. He established residency in the country in Jan. 2012, bypassing the MLB draft and becoming an unrestricted free agent. 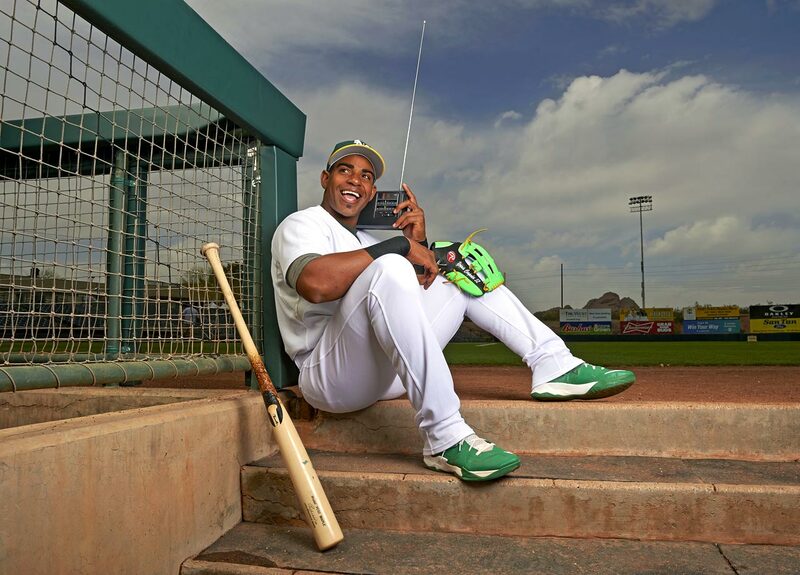 After interest from numerous Major League teams, Céspedes agreed to a 4-year, $36 million contract with the Oakland Athletics on Feb. 13, 2012. Through three seasons, the 2014 All-Star outfielder has hit 71 home runs and 262 RBI. 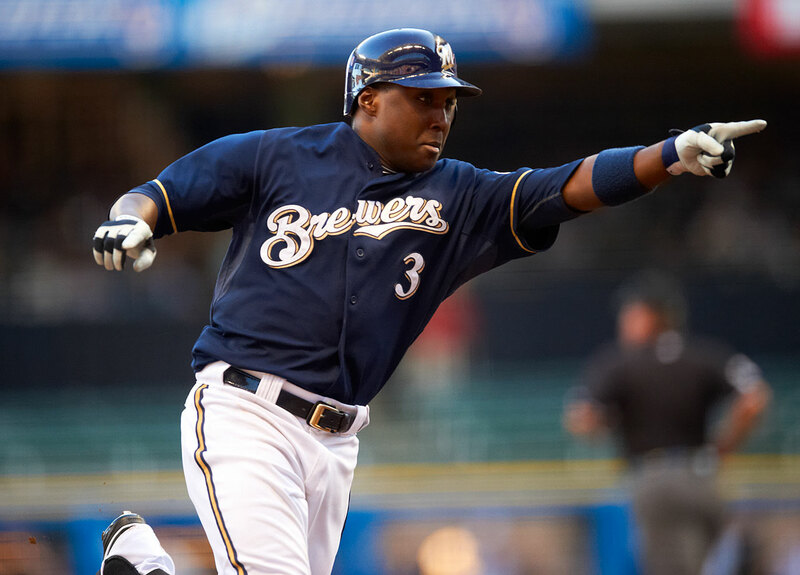 Chapman had a failed defection attempt in 2008, and was forced to meet with Cuban President Raul Castro, who suspended him fro the remainder of the National Series season. But he successfully defected in July of this year while the Cuba national team was participating in the World Port Tournament in Rotterdam, Netherlands. The left-handed reliever has a 2.32 ERA and 430 strikeouts through 252.2 innings pitched in five seasons with the Cincinnati Reds. 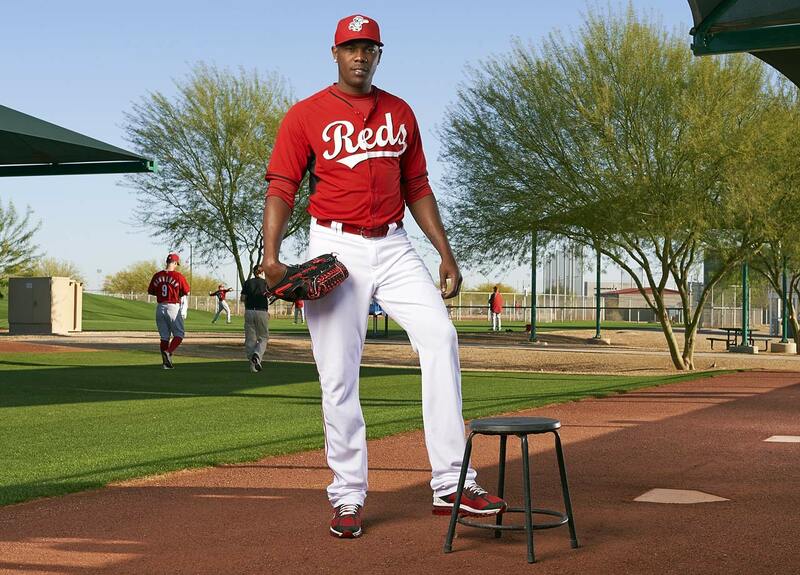 A three-time All-Star, Chapman holds the record for the fastest recorded pitch speed in MLB history at 105.1 mph. 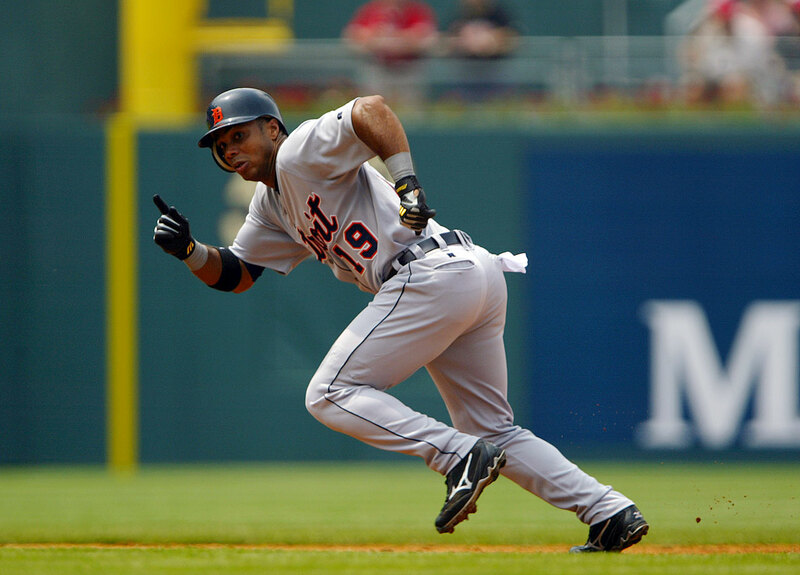 Ramírez left Cuba in 2007 and signed a four-year, $4.75 million deal with the White Sox. In 2008, "The Cuban Missile" finished second in American League Rookie of the Year voting, hitting .290 with 21 home runs and 77 RBIs in 136 games. Ramírez made the final out of Mark Buehrle's perfect game in July 2009, and he made his first All-Star game in 2014. Escobar rode a small fishing boat, with sharks and six-foot waves snapping at its sides from Cuba to Miami in October of 2004. The Braves took Escobar in the second round of the 2005 draft, 75th overall. Through eight major league seasons, the shortstop has hit .276 with a .347 OBP. He is also recognized as being one of the better defensive shortstops in baseball. Morales was suspended after several of his attempts to leave Cuba were foiled. But Morales finally got off the island on his eighth attempt, according to his stepfather, Henry Nunez. Morales bounced between the majors and minors from 2006-08, but he enjoyed a breakout season in 2009. 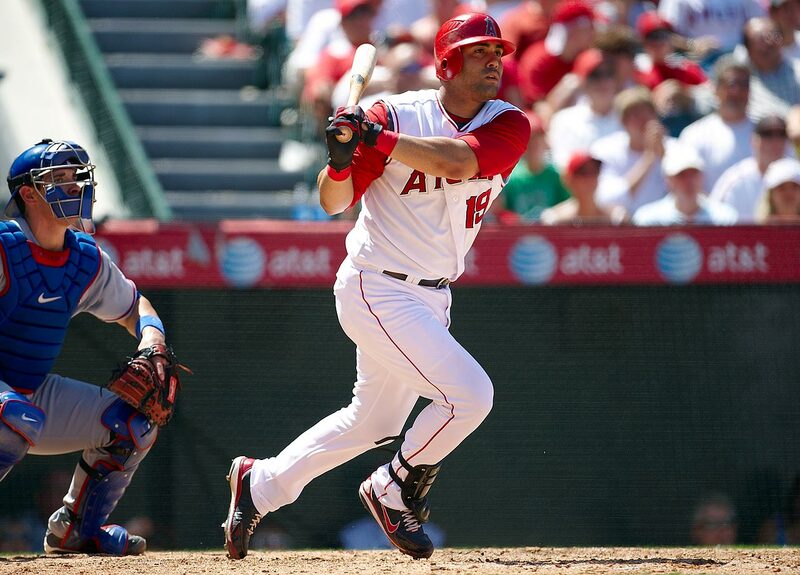 After the Angels lost Mark Teixeira to free agency, Morales took over at first base and hit .306 with 34 home runs, 43 doubles and 108 RBIs. Liván defected to the United States at the age of 20 in 1995. He has enjoyed a fine 14-year career as a member of the Marlins, Giants, Expos, Nationals, Diamondbacks, Twins, Rockies and Mets. 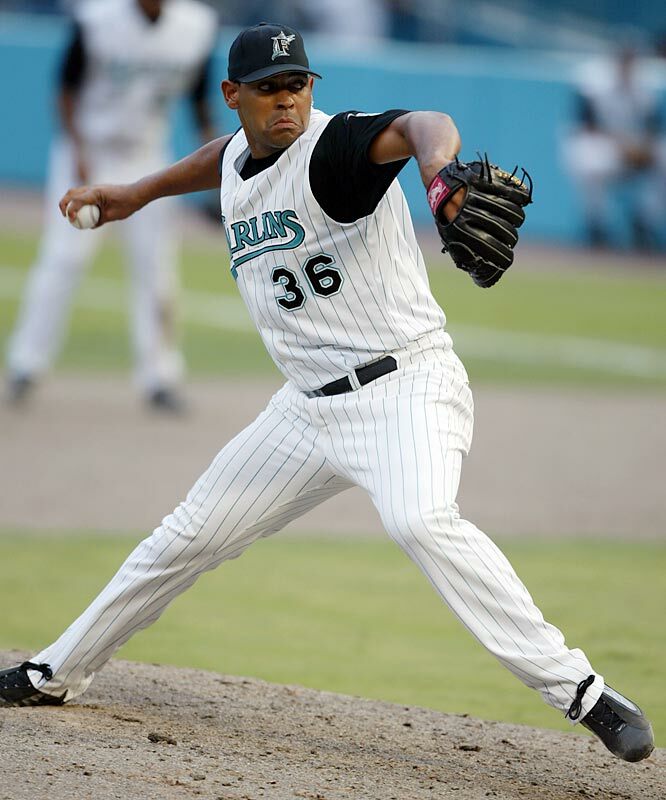 A workhorse on the mound, Hernández led the league in innings pitched for three straight years from 2003-05. The two-time All-Star won a World Series with the Marlins in 1997, earning NLCS and World Series MVP honors along the way. Ordóñez ditched the Cuban national team while they were in Buffalo, N.Y., for a game. He signed with the Mets and played seven years with the franchise before playing a season each with the Devil Rays and Cubs. 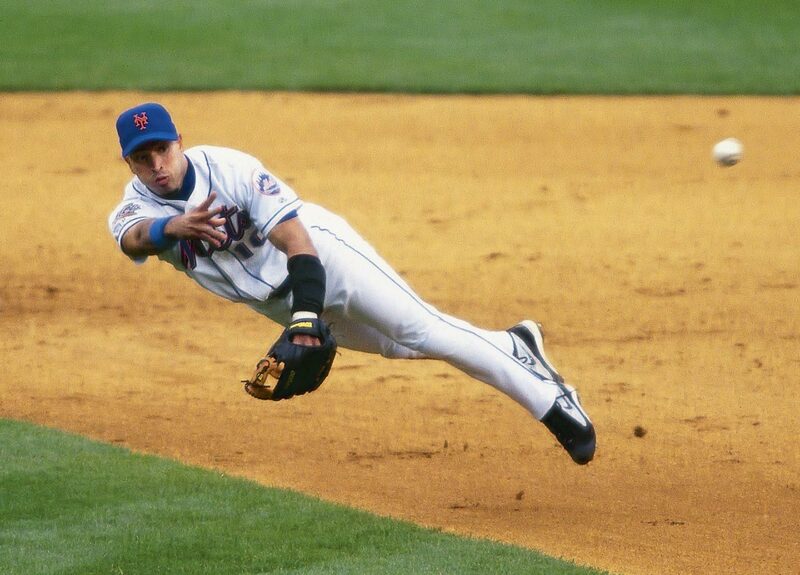 Ordóñez never did much at the plate, but he churned out plenty of highlight material with his glove, winning three Gold Gloves in a row from 1997-99. 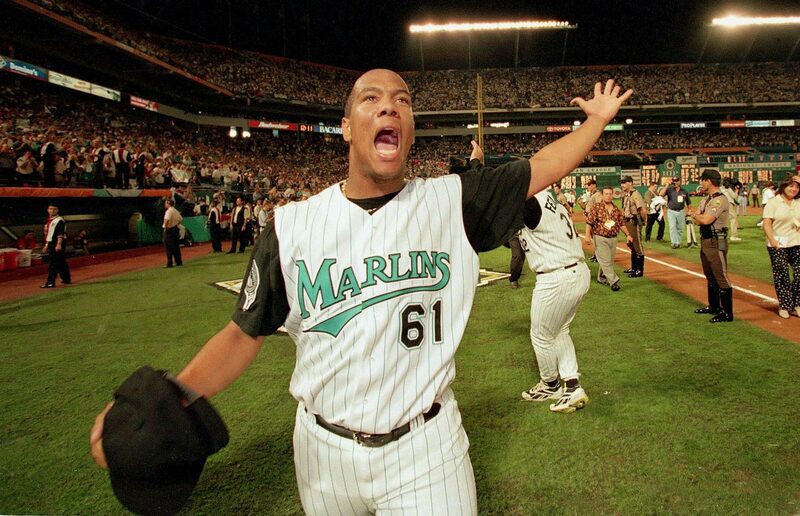 "El Duque," the half-brother of Liván Hernández, defected from Cuba on the day after Christmas in 1997. After accepting an offer of asylum in Costa Rica, Hernandez signed a four-year, $6.6 million deal with the Yankees. Over nine major league seasons with the Yankees, White Sox, Diamondbacks and Mets, El Duque compiled a 90-65 record and 4.13 ERA. But it was the playoffs where he really shined, as evidenced by his 9-3 record and 2.55 ERA in 19 postseason games. Hernández has four World Series rings (three with the Yankees, one with the White Sox). Contreras enjoyed a fabulous career in the Cuban National Series, earning the distinction of Cuban Athlete of the Year on three separate occasions. In 1999, the Cuban national team played the Baltimore Orioles and Contreras pitched eight shutout innings, striking out 10 and catching the eyes of Major League scouts. Contreras left Cuba in 2002, and the Yankees signed him to a four-year, $32 million contract. Although he never lived up to expectations in New York, Contreras enjoyed many good years with the White Sox. 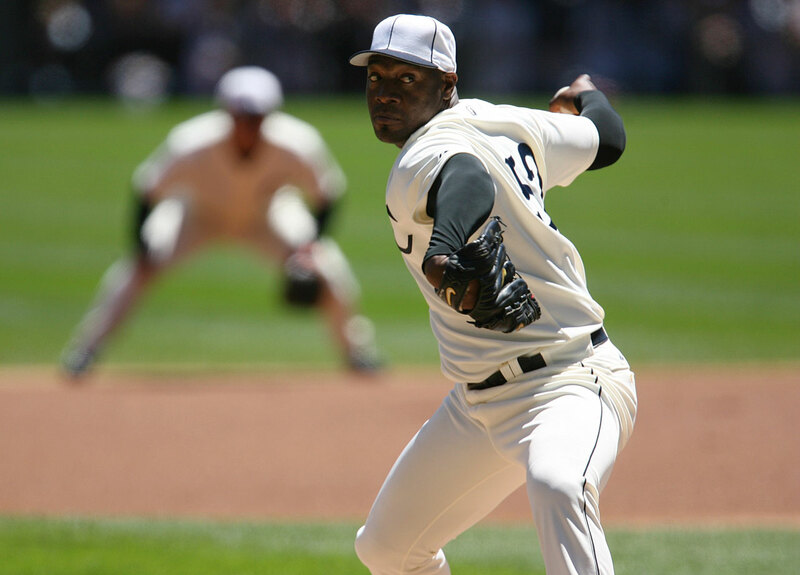 His best season came in 2005, when he went 15-7 with a 3.61 ERA and helped the White Sox win the World Series. Báez defected from the Cuban national team at the 1999 Pan American Games in Winnipeg, Canada and signed with the Indians. In ten major league seasons, Báez compiled a 40-57 record and a 4.25 ERA. He saved 96 games from 2003-05 with the Indians and Devil Rays, making the All-Star Game in 2005. On a United States tour with the Cuban national team prior to the 1996 Olympics, Arrojo defected in the wee hours in Albany, Ga. 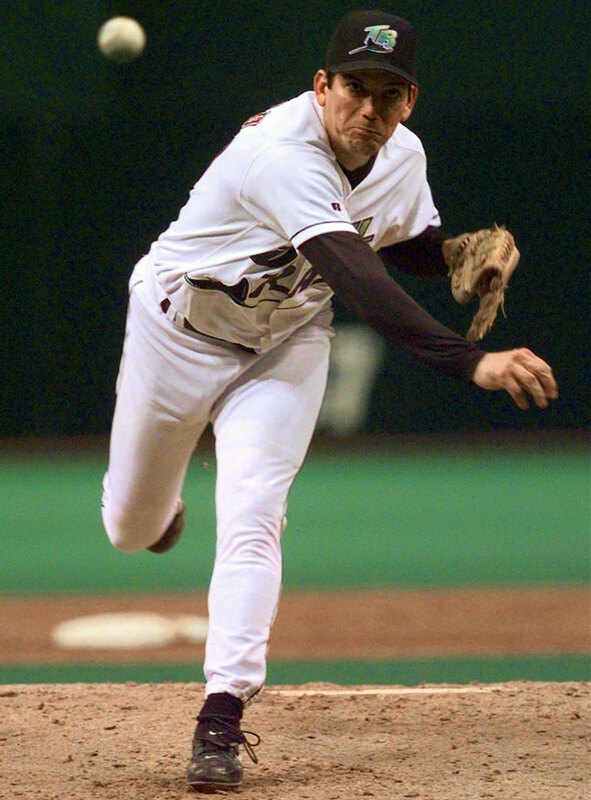 The right-handed pitcher signed with the Devil Rays and was an All-Star in his first season (1998), going 14-12 with a 3.56 ERA. 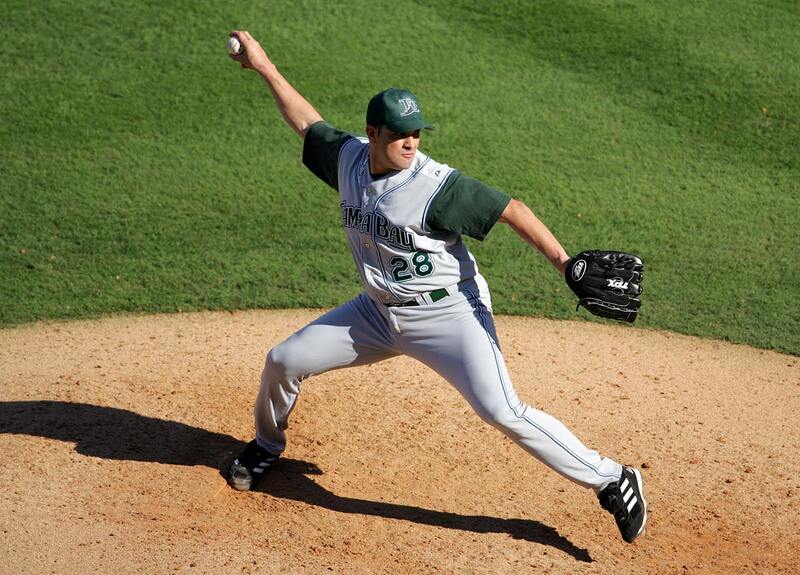 He went on to pitch four more seasons for the Devil Rays, Rockies and Red Sox, finishing with a career ERA of 4.55. Arocha was a trailblazer as the first player to defect from the Cuban team in three decades when he left his teammates at the Miami airport in 1991. 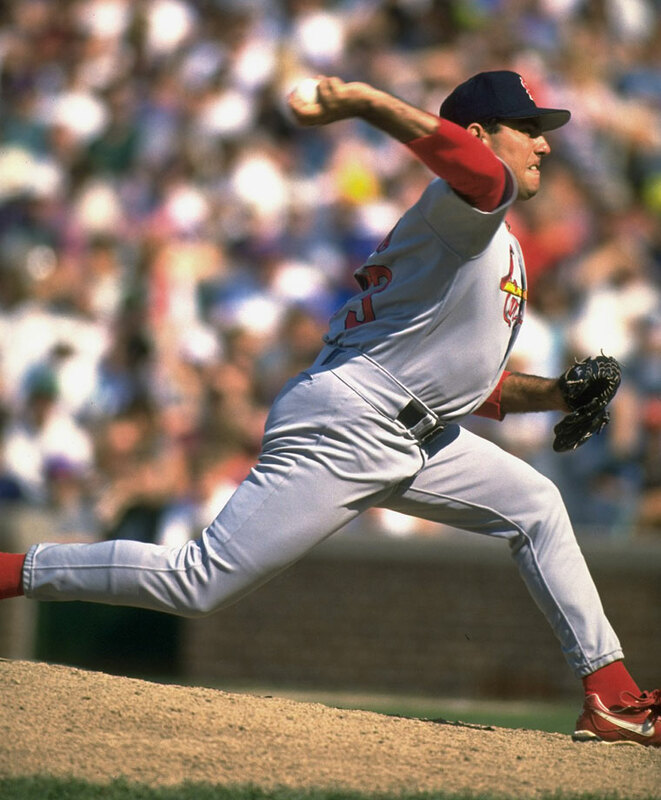 Arocha was signed by the Cardinals and played parts of four seasons for St. Louis and San Francisco, but his best one was his first in 1993, as he went 11-8 with a 3.78 ERA. Sánchez left Cuba on a raft in August of 1994. The outfielder was drafted by Tampa Bay in 1996. 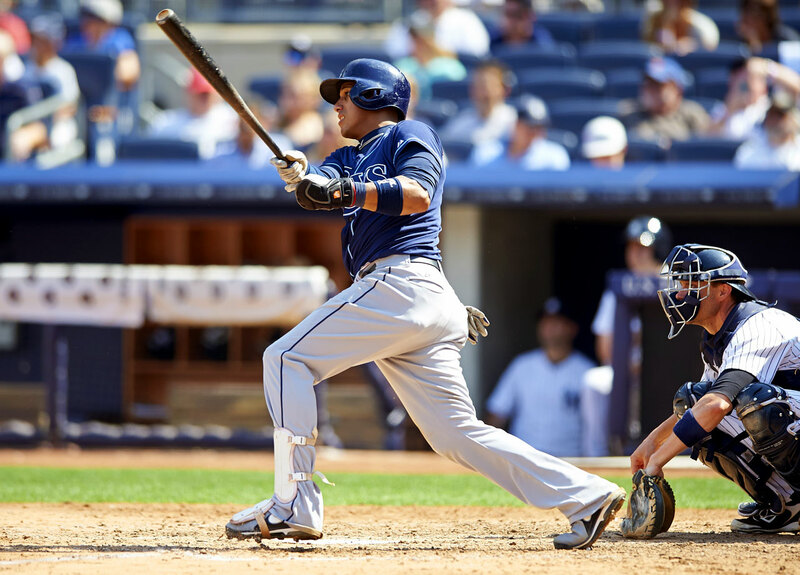 In five major league seasons with the Brewers, Tigers, Devil Rays and Giants, Sanchez hit a respectable .296, but only hit six total home runs. Sánchez is probably best known as the first Major League Baseball player to be suspended for violating the league's drug policy in April of 2005. Betancourt was smuggled out of Cuba aboard a speedboat, but the story gets hazy after that. According to court documents, Betancourt spent time in a Mexican jail for a fraudulent passport, but eventually he made his way to the U.S. and signed a $3.65 million contact with the Mariners. Betancourt played nine seasons in the big leagues with the Mariners, Royals and Brewers, leading the NL in sacrifice flies (10) in 2011. The right-hander defected to Venezuela in 1995 and signed a $1.8 million contract with Arizona. Núñez played nine major league seasons with the Diamondbacks, Marlins, Rockies and Braves. The Red Sox have already exceeded their international signing limits and will be taxed by Major League Baseball and banned from signing international free agents for the next two signing periods. Boston has until July 15 to pay the tax and up to three years to pay out Moncada's bonus. The bonus and other penalties are expected to drive the Red Sox's cost to about $60 million. The 19-year-old left Cuba in August and became eligible for MLB free agency after establishing residency in Guatemala. Moncada, a switch-hitter, played second base, shortstop and centerfield during the 2013-14 Serie Nacional season, hitting .273 in 195 plate appearances. The Red Sox finished last in the American League East last year with a 71-91 record, one season after winning their third World Series title in the past 10 years.